Here is a recent review of Big When When Little When by Sasha Wallace from NursingTimes.net. 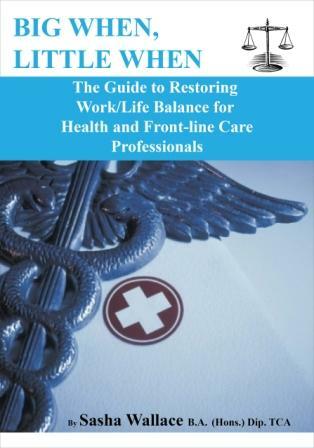 The author of this short book is a life coach with extensive experience with NHS and other frontline workers. Her aim is to empower care professionals, police officers, nurses and aid workers to design a better quality of life, manage stress effectively, work more efficiently and ultimately pass on the benefits of this knowledge to the public, patients and staff they support. It is a concise read, divided into small chapters each of which discusses a topic such as understanding stress and avoiding overwhelm. There are then small exercises to focus the reader on where they are currently, where they wish to be and how to achieve that goal. The highlights are the exercises designed to make you consider important features of your current situation and move these forward. These take the form of lists, reflection, mind mapping and setting time specific goals. They are straightforward, quick to complete and enable the reader to focus on where they are now and where they would ultimately like to be. This is a short introduction to the process of life coaching. It touches on many important concepts regarding motivation and achieving goals. It is not a substitute for a face-to-face coaching experience but there are contact details for the author at the end of the book if more help is required. There is also the opportunity for a free, 60 minute, telephone consultation to discuss your goals and support your success. This could be read by anyone who is looking for insight their current work/life situation and hoping to redress the balance or for those seeking an introduction to life coaching. Stress and your career in the NHS and how MBTI can help. 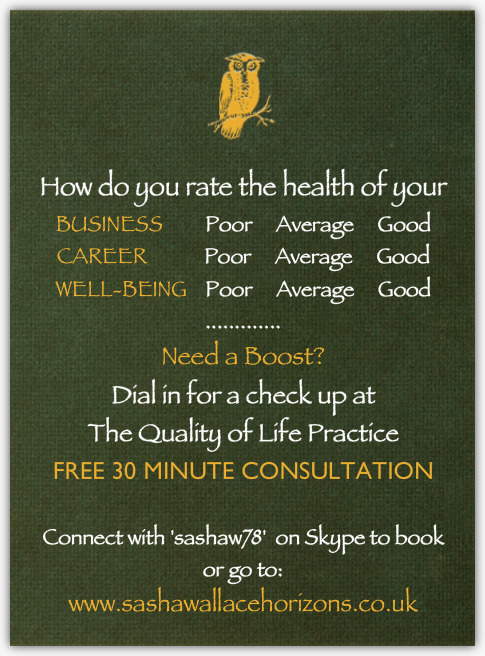 In this week’s blog, we meet Sasha Wallace, founder of The Quality of Life Coaching Practice, who brings a holistic approach to her coaching method; helping clients to recognise and prioritise their mental and physical health, demonstrating how this plays to their professional strengths, and ensuring that a client has moved past a stressful state to where coaching can be most effective. Achieving work/life balance is the message at the core of Sasha’s coaching practice, and results in enabling clients to have the best of both worlds, not just walking a fine line between the two. What would you do with a few more hours in your day? Far too frequently we are seduced, or coerced, into spending more time, energy and focus on our work and our careers than on our home lives, our personal interests, or our health and well-being. It follows then that finding the resources within to breathe life into our dreams, goals and aspirations can often become an after-thought, or a never-event. 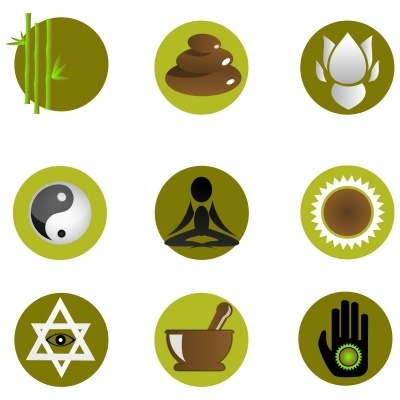 This imbalance is incredibly damaging to our mind-body-spirit patterns, with harmful effects on our relationships, our professional capacity and our sense of self. By uniting these essential aspects we learn the secret to success: That greatness is built on harmony and balance in our life, our communication, and our work. Sasha’s explains that it was her personal experience of working in challenging corporate environments, unhappy teams, and a stressful redundancy process in the NHS that led her to take a new path into performance and executive coaching in 2011, to understand what gets in the way of people achieving their best; in business, and with each other, and why stress has become such a prolific word in our vocabulary. Sasha was inspired to write the book through working with the amazing teams who support patients and the public in their work, in the belief that by offering a gr eater quality of life for those in healthcare, trauma, and front-line care roles, they will be less stressed, more positive, and able to achieve higher performance, with these benefits being naturally passed on to their colleagues and patients. Stress can be the result of many factors and is often blamed on increasing workload and organisational pressure, but we can all help to alleviate the tension immediately by ensuring that a few simple things are in place, and to combat stress before it takes hold. Are you taking a proper lunch break at work, eating a healthy meal and spending time away from your desk? Are you getting enough sleep at night and taking regular exercise? Are you leaving your workplace on time and doing things you enjoy with your spare time? Take a minute to consider these questions carefully. Starting with your own health and wellbeing puts your needs back at the top of the agenda. Getting these things right will almost certainly give you back the breathing space and the energy you need to tackle whatever the working day throws at you. Issue 2) Unclear work objectives. Often employees are overwhelmed by their responsibilities or they spend too much time working on the wrong things because they aren’t clear on their role. Suggestion: Ask your manager for a meeting to go through your job description and get some clarity on the priorities they expect you to fulfil, and agree some clear objectives for what you need to achieve in the year ahead. This will allow you to focus more clearly on the tasks you need to do, and feel more confident about saying ‘No’ to unexpected and last-minute requests. The issue of time management is one that affects us all, the emails that never stop, and the meetings that never end, and we often feel we need to work longer hours just to fit it all in. This is an illusion. There are some very simple strategies we can use to manage our time more effectively. Suggestion: Consider emails for instance. If you are plagued by endless emails and an over-flowing inbox it can be hard to tear yourself away or ever feel like you are making a dent. Try applying the method of the 4 D’s to your emails. Delete, Deal, Defer, Delegate. Firstly, set aside 15 minutes to go through your inbox each morning with only these 4 D’s in mind. DELETE all spam, junk, promotional material and unsolicited mail. DEAL with any email that you can reasonably respond to in one to three sentences, and that will take you less than a minute to send. DEFER any email that requires a response longer than three sentences, or you need to think carefully about, and mark these for attention later. DELEGATE as many emails that you can, where information or input from others is required, and nurture the skills of your team by asking for their help and entrusting important tasks to them. Finally set some time aside later in the day, e.g. 60-90 minutes, when you can calmly respond to any emails you have marked in the ‘Defer’ list. Experiencing conflict with team members and managers can be a tough existence and can make even a dream job feel like a nightmare. It can be as simple as the odd disagreement with a co-worker, and can be as complicated and upsetting as bullying. Is there is a different way to respond to the other person’s behaviour? Are you able to see the situation from the other person’s point of view? What are your mutual objectives and can finding some common ground help to ease communication? If you feel the situation is beyond these suggestions or you feel you may be being bullied, then talk to someone, be it your manager, or a colleague, or your HR advisor and allow them to support you. Bullying thrives on silence and control and the only way to tackle bullying is to bring it out into the open. Once you have examined all the factors of your work environment and still feel there is dissatisfaction then it may be that you’re in the wrong job for you, or working towards something that is not bringing out the best in you, and then the way is clear to explore a new direction and possibly an exciting new career. Using the world leading psychometric assessment, the ‘Myers-Briggs Type Indicator’ (MBTI) tool, Sasha helps clients to uncover all the aspects and factors that are at play in their current situation and supports them towards greater clarity of where they want to be. Understanding workplace preferences, managing stress, reducing conflict, searching for suitable careers and improving team effectiveness are just a few of the many MBTI type-related applications that can be explored. Sasha’s clients gain a deep understanding of their psychological type and behavioural preferences, and learn to apply this information to work in their favour, helping them to re-pave their career or business pathway towards success. 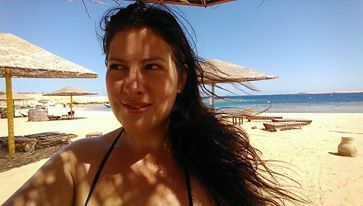 With offices in London, England, and on the Red Sea in Egypt, Sasha Wallace operates a roving coaching practice, connecting with clients through the web, Skype and telephone. Face to face sessions are held in London, in the esteemed Members’ Lounge of The Royal Festival Hall, Southbank, enjoying panoramic views of the River Thames and the Houses of Parliament. 12 Questions You Should Ask When Choosing a Coach. It is absolutely imperative that you find a coach that feels right for you, and is well suited to your needs. Don’t enter into this lightly! Here are the first 3 questions……. 1. What qualifications and experience does this coach have? Investing in a coach is an important decision, in fact it’s a life-changing decision, so you want to ensure that you are selecting someone who has invested in their own development as a coach. Since coaching is still an un-regulated industry anyone can call themselves a coach, so it is wise to be cautious and finding someone who has a recognised qualification and some practical experience is the best place to start. Any reliable and professional coach should be happy to show you their qualifications if you wish to see them. Review of ‘Big When Little When’ from across the Pond!